INDUSTRY.co.id - Jakarta - After had circulated information release date from Nokia 8, now leaked the price of the phone even this began to unfold to the public. 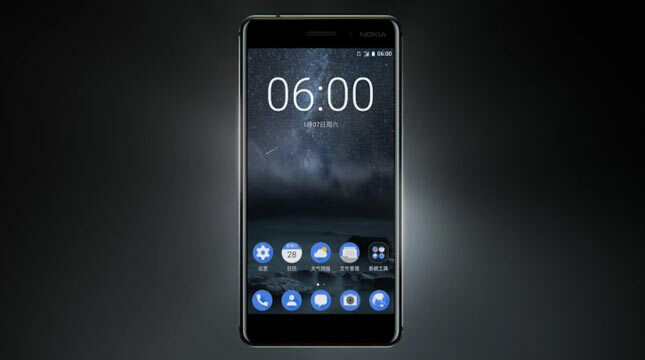 HMD Global, as the licensee of the brand from Nokia, reportedly will launch this flagship smartphone on August 16 this month. It is known from invitations that have been spread to a number of media. This time, the latest leak claimed to come from Vodafone operator in Romania showed the price tag of Nokia 8 in the European region, which is 520 euros, or about Rp8, 2 million. The price is still fairly 'under' tager flagship smartphone from its competitors. If the leak is true, Nokia 8 votes will have a big enough chance of success, especially if the specifications are adequate and the design is classy. Some parties also admitted was surprised with the leak of prices that can be said 'cheap' is. Nokia 8 rumors will be equipped with dual Zeiss lens camera on the back with 13MP each size. This flagship device reportedly will use 5.3-inch AMOLED screen with 1440p Quad-HD resolution equipped Snapdragon 835 chipset with a choice of 4GB or 6GB of RAM and 64GB of internal memory. Nokia 8 comes in a choice of blue, gold, and silver, Nokia 8 is called will run the operating system Android 7.1.1 Nougat.